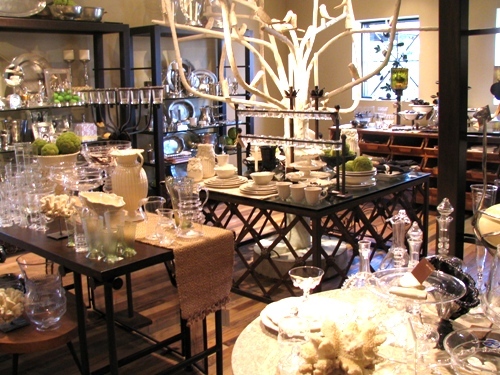 At The Old State, we believe fine design can extend all the way down to a dining experience. 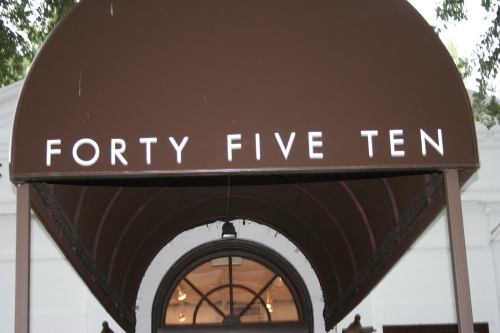 And let me tell you, at Forty Five Ten on McKinney in Dallas they take it to all new heights. We had been there a long time ago, but we were pleased to see they have taken it up many notches. Genius is on display from the minute you walk through the threshold from store to T Room in the back. Wow. We split entrees there and it was superb on every count. The avocado tuna melt on Seduction Bread is so inspired and good that it's now on my top 5 best meals ever list. The decor is as good as the best of new York or LA, and the service really top notch. One member of our party was overwhelmed with their desire to own all the vintage portraits in the common areas and bathrooms. Really special, extremely unusual. 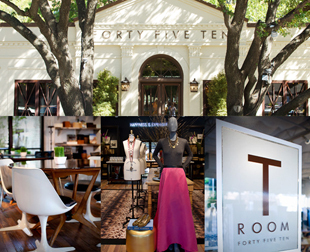 Another thing we were wowed by is that they now carry the amazing interior designer Kelly Weartsler's line of products in the Forty Five Ten retail space. Everyone loves her, and put us on that list. We bought her new signed book. Incredible cover to cover. But back to the restaurant. Go at lunch and plan to stay awhile. Yes, it's a scene. But no, it's not stuffy. Everyone was friendly and forthcoming with what to order and where we wanted to sit. We like the area when you first walk in, but the "ladies who lunch" crowd concentrates in the next room. But quite frankly, there are no bad places to sit in the entire space. In conclusion, make sure to go, eat, shop, enjoy. It's definitely one of the best places in Dallas...or anywhere. Great job Forty Five Ten and T Room. You got it just right!